One of the propelling myths within certain segments of the Black community in America and abroad is that Christianity is "the white man's religion." And perhaps some white men and women are led to believe that this is also the case. And no wonder, the images projected by the Western media always portray Christ with blond hair and blue eyes, "a sugary Jesus," as it was once conveyed to me in a discussion. All of the historical fugures of the Bible are also portrayed as white: from the patriarch Abraham to the royal majesty of King David. However, if one examines the historical and geographical context of the Bible without cartographical and anthropolical bias, you will see that the so-called "Middle East" (a political jingoist invention) is in fact Northeast Africa. I have compared the maps and have done research on the Biblical kingdoms: from Nimrod's Babylon to Sennacherib's Assyria on down to David's kingdom of Judah (ca. 1007-1000 B.C.) and its evolvement into the united Kingdom Israel (ca. 1000-970 B.C.) and have discovered that the monarchs and their subjects were black. Even white scholars such as Constantin Francois de Cheeseboeuf Volney in his paper "Ruins of Empires" circulated around 1786 in Europe and America (contents sadly censored in America)to George Wells Parker's The Children of the Sun published in 1919 and even Godfrey Higgins' Anacalypsis all substantiate that the biblical figures and ancient civilzations such as Mesopotamia, Cush (Ethiopia), and Egypt were black...and these are the asserions and conclusions of white scholars! True scholars in my book, though we may not agree on every point. This goes beyond the amenic Black History month in America that is scarfed down schoolchildren's throats every February. The Council of Nicea (325) decidedly separated Christians from Jews. Arianism was promoted and Africanism demoted. The heretics were gaining in power and as a result imbiancamento, the process of bleaching the skin, or emblanquecimiento as it was later called in Spain and Latin America began." Such information is staggering to the Westernized mind. We see our world through a white supremacist lens. And this is not an indictment on all white people, it is simply an observation of fact. Even whites are victims of the white supremacist ideology that permeates the globe. 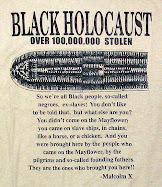 Whites have a false sense of superiority given to them by the Zionists. 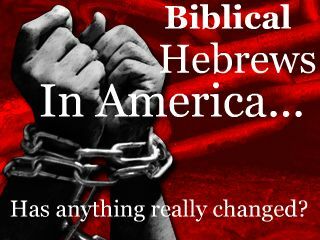 The "Hamitic Myth" which says Ham was cursed because of the color of his skin and thence subjugated to his brothers Japheth and Shem is not from the Holy Bible but from the Jewish Babylonian Talmud (Sanhedrin 108b). The Babylonian Talmud is the authoritative Rabbinical text adhered to by the Judaic community, specifically the Ashkenazim and the Sephardim. The Talmud is, rather ironically, inherently racist. Many Christians boast about wanting the truth but when it comes to discussing the ethnic identity of Jesus Christ, we sweep it under the rug with the pat answer, "It doesn't matter what color He was." But it does matter, simply because of the visual images we are given and passed off as truth. Truth in all respects must dispel the lie. Christ portrayed as a white man is a lie. 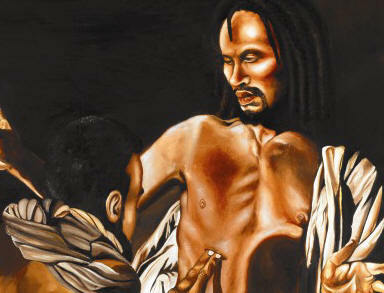 In the natural, Christ was a black Northeast African Hebrew. This is scientific fact that should be recognized by all Christians regardless of skin color. The concept of "skin color" is another myth. We all have one skin color, it's called melanin. Until next time, truth erases ignornace and sometimes it hardens and disillusions those who choose to remain in it. And I will leave you with this, "How can a religion that originated in Africa be called a 'white man's religion'?" I am fully aware of the spiritual reality of Christ and have read, written, and spoken extensively over the years on the subject. But the spiritual complements the physical, it doesn't eradicate it.